A bustling crowd waits for the Route 23 bus at the intersection of Germantown Avenue, Erie Avenue and Broad Street, where a busy exchange of passengers takes place. 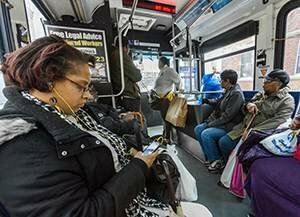 Many of the 21,000 daily riders of Route 23 bus – at 13.8 miles in each direction the longest and busiest bus route in the SEPTA system – will see changes on Sunday, Nov. 29. From end-to-end, Chestnut Hill to South Philadelphia, takes 90 minutes, though few riders make the entire trip. 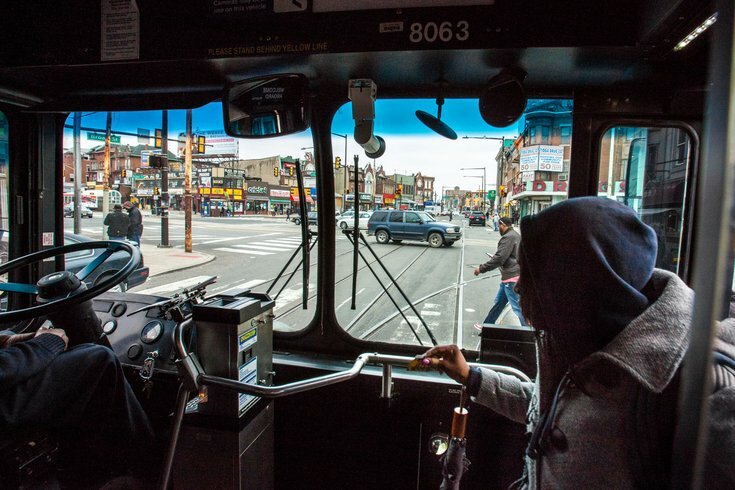 In April, as SEPTA considered changes on the storied Route 23, PhillyVoice contributor Jake Blumgart jumped on the bus in South Philadelphia for the trip to Chestnut Hill. Along the way, he learned why Temple and Penn professors for decades assigned their students to ride the route as a way to get to know the city. There are few cities in the country with such a line, Elijah Anderson, professor of sociology at Yale and formerly at Penn, told us. Read the story. Route 23 was once the longest streetcar line in the world, but it transitioned from trolley cars to buses in 1992, halving the three-hour trip by trolley. Most passengers use the bus to travel between adjacent neighborhoods or to Center City, not to travel across it. The length of the route makes riders in Germantown susceptible to traffic incidents in the narrow streets of South Philly, or puts a rider trying to get from Temple University to downtown at the mercy of a car accident in Mt. Airy. In an effort to address the current-day delays, the 23 will be split into two shorter routes. The current Route 23 route will continue service between Chestnut Hill and Center City via Germantown Avenue, and 11th and 12th streets. Southbound service will end at Walnut Street. Northbound trips will begin on 11th Street between Market and Filbert streets. The new Route 45 will serve riders between Broad and Oregon and 11th and Noble Streets, beginning and ending on Noble Street near 12th Street. “These changes will result in more reliable bus service for the thousands of riders traveling to work, school, shopping, and medical appointments,” said General Manager Jeffrey D. Knueppel in a statement. The change will require a small number of customers to transfer between routes to complete trips. Riders using a cash fare or a token can request a free transfer when leaving the bus at five locations; Market, Arch, Race, Vine, and Callowhill streets. Riders using a pass will just make an additional swipe upon transferring. SEPTA says the Route 23/Route 45 schedules have been enhanced to offer additional off-peak trips in the afternoon and evenings. During rush hour, buses will arrive at stops on each route as often as every six minutes. Overnight OWL service has also been enhanced on the Route 23 schedule. SEPTA has downloadable schedules for both routes online. Jake Blumgart contributed to this report.